Well maintained, one-owner home, located on corner-lot in quiet Botetourt County neighborhood. 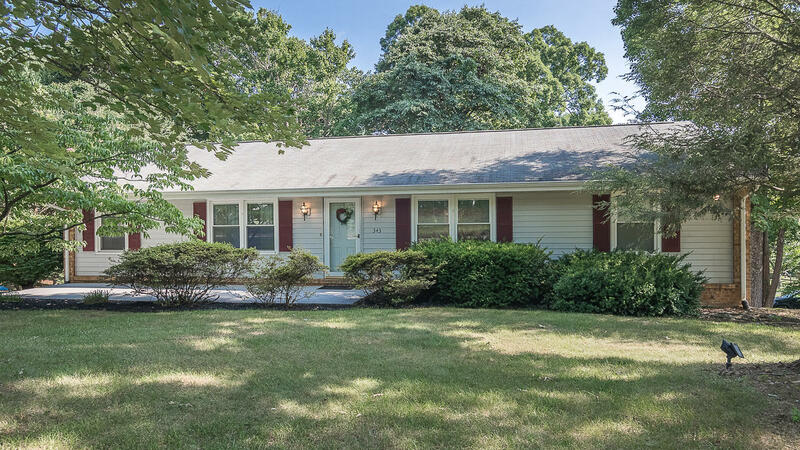 Home was remodeled some years ago; features 2 driveways & 2-car Garage, nice/large deck, cheerful eat-in Kitchen/Family Room, plus formal Living & Dining Rooms. Master Suite has expanded Bathroom & walk-in closet. 2 brick Fireplaces (one is gas logs), den and office/4th BR & 1/2 Bath, plus storage & Utility Room on lower level. Windows approx. 10 yrs old. NEW ROOF, septic inspected/pumped and termite treatment in August 2018. Refrigerator in Basement & Kitchen table & chairs convey.